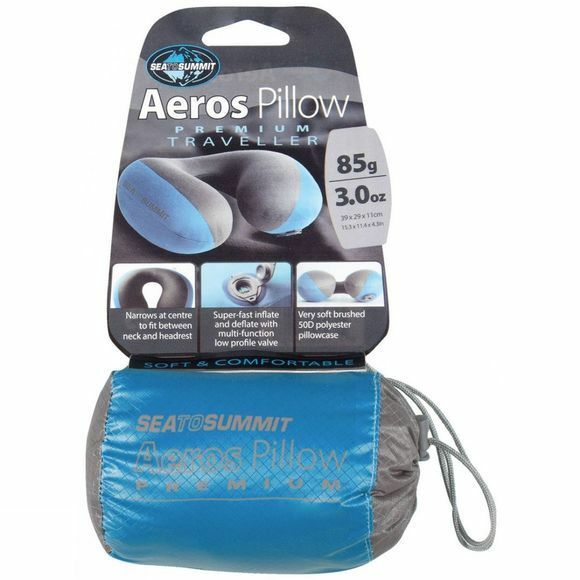 The Aeros Premium Traveller Pillow from Sea To Summit is an exceptionally comfortable pillow that offers great comfort when on the move. 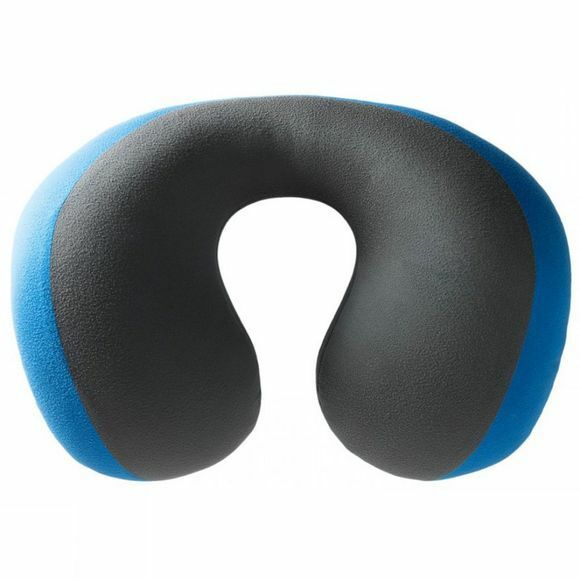 It has been carefully designed to ensure premium comfort when trying to catch some shut eye in an upright position, the narrow neck makes sure that your head isn't forced forwards while the extra bulbous sides means you can be supported without having your head fall to an uncomfortable angle. The multi-functional valve allows you to blow it up with a couple of breaths, a small release valve then allows you to slowly let a little air out to find the perfect level of firmness for you. When you need to pack it away simple open the wider valve and the air will escape in seconds.